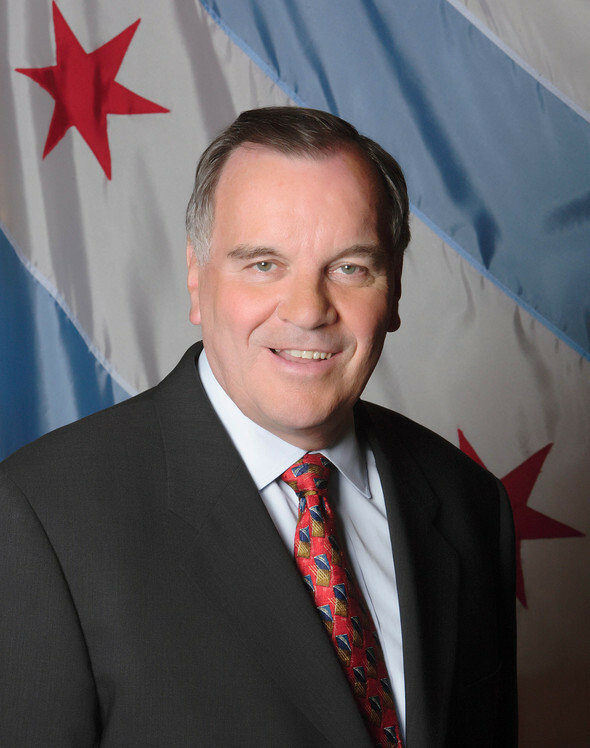 Mayor Richard M. Daley of Chicago said Tuesday that he would not run for re-election when his term expires next year, an announcement that could have implications from the Windy City to the White House. The news created an immediate stir inside the West Wing. Rahm Emanuel, the chief of staff to President Obama, has talked openly about his desire to run for mayor of his hometown. He has said that he would only consider running if Mr. Daley decided to step aside. In a statement on Tuesday afternoon, Mr. Emanuel said that he was surprised by the announcement. He did not say whether he intended to run, but he does not have much time to make a decision, with the election set for Feb. 22, 2011. “While Mayor Daley surprised me today with his decision to not run for reelection, I have never been surprised by his leadership, dedication and tireless work on behalf of the city and the people of Chicago,” Mr. Emanuel said in a statement. Mr. Emanuel, a former congressman from Chicago’s North Side, has told friends that he planned to stay in the White House until at least next summer. But the news from Mr. Daley, which caught many Democrats by surprise, could change the calculation. Mr. Daley, who in 1989 followed in his father’s footsteps to become mayor of Chicago, has been one of the more colorful and powerful mayors in the country. As he made his announcement on Tuesday, his wife, Maggie, stood by his side with the help of a crutch, the Chicago Tribune reported. She has been battling breast cancer for years. Mr. Daley, 68, will become the longest-serving mayor of Chicago on Dec. 26, 2010, surpassing the tenure of 21 years and eight months that his father, Richard J. Daley, recorded. Mr. Emanuel, should he decide to run for mayor, would hardly have a clear path to the office. Several Chicago aldermen have been eying the office, in case Mr. Daley decided to step aside, and so have several other Democratic officials in Chicago, including the Cook County Assessor, Jim Houlihan, and the Cook County Sheriff, Tom Dart. The primary is scheduled to take place next February, a timeline that does not allow Mr. Emanuel or other potential candidates much time to settle their plans. A new wave of senior advisers is expected to join the Obama administration after the November election, when the Democratic majority in Congress could shrink – or vanish. Previous: Is NIIT institute good for me?